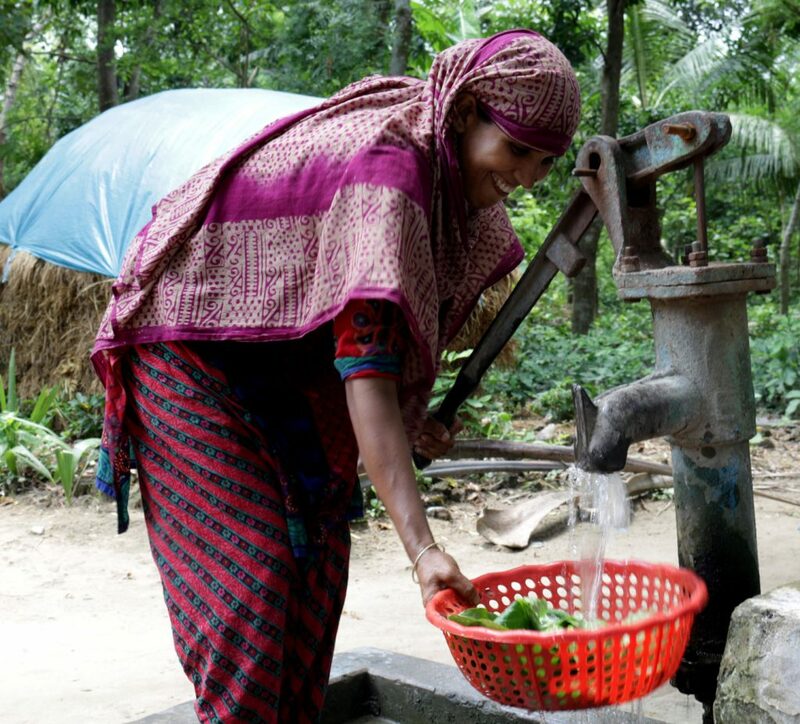 Since 1974, CARE’s focus in Bangladesh has included food security and livelihoods, health and nutrition, agriculture and natural resources, climate change adaptation, women’s empowerment and reduction of violence against women, civil society strengthening, HIV/AIDS, disaster risk reduction and emergency response. 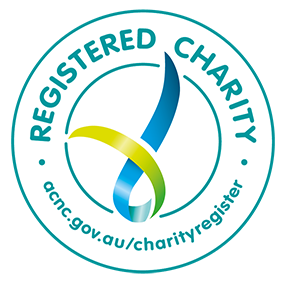 Over recent years, CARE adopted rights-based programming to address the underlying causes of poverty to transform the lives and livelihoods of the poorest and marginalised, amplifying their voices to secure their legitimate claims and entitlements. ‘Working with the community’ instead of ‘working for the community’ is our focus when working on projects that transform both rural and urban areas, contributing to an increased quality of life for the inhabitants. 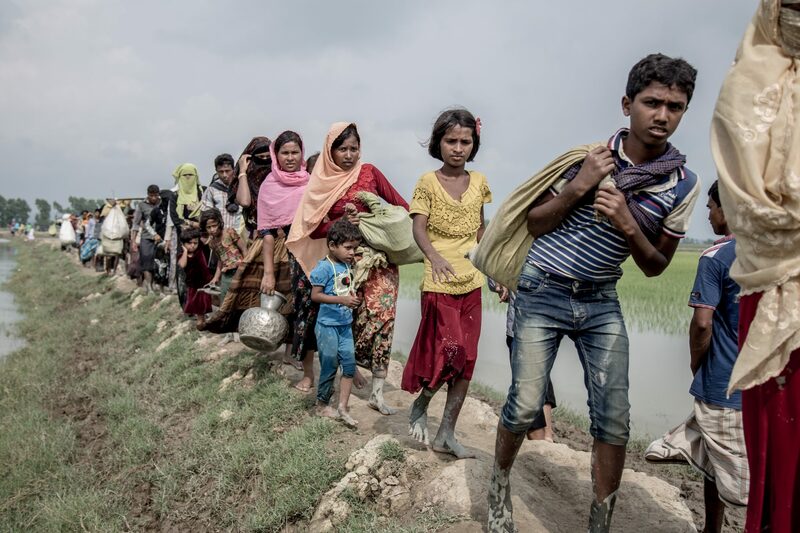 CARE is responding to the ongoing Myanmar refugee crisis where 702,000 people have fled to Bangladesh since August 2017, following an escalation of violence in Myanmar’s northern Rakhine state. We’ve been on the ground since the beginning of this crisis, providing necessary assistance including cooked and dry food like rice, and supplying non-food items like soap and sanitary pads. We also provide nutritional support for children, shelter, water and sanitation, and advise on primary, sexual and reproductive health and gender-based violence (GBV). Read more about the current crisis and how you can help. CARE’s Health and Nutrition program encourages community-led approaches to promote long-lasting development. 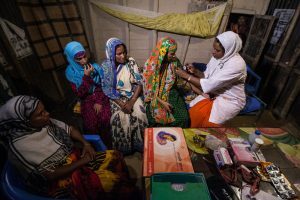 We aim to improve maternal and newborn health outcomes by working directly with women and empowering them with vital resources and information. We’re implementing community support systems to increase community awareness and improve health system responsiveness, accountability and quality of care and referrals, especially among poor and vulnerable households. We’re also working to educate school children, mothers’ groups and school committees, in order to promote good sanitation and hygiene practices within communities. Through career mobility, financial literacy and reduced violence against women, CARE aims to contribute to the economic empowerment of female garment workers. We’re investing in women’s career advancement, building their capital base, and increasing their confidence and capacity to address harassment and violence in the workplace and where they live. To improve local understanding of the social norms that perpetuate violence, we’re empowering and encouraging men and women alike to take action against child marriage, domestic and social violence. 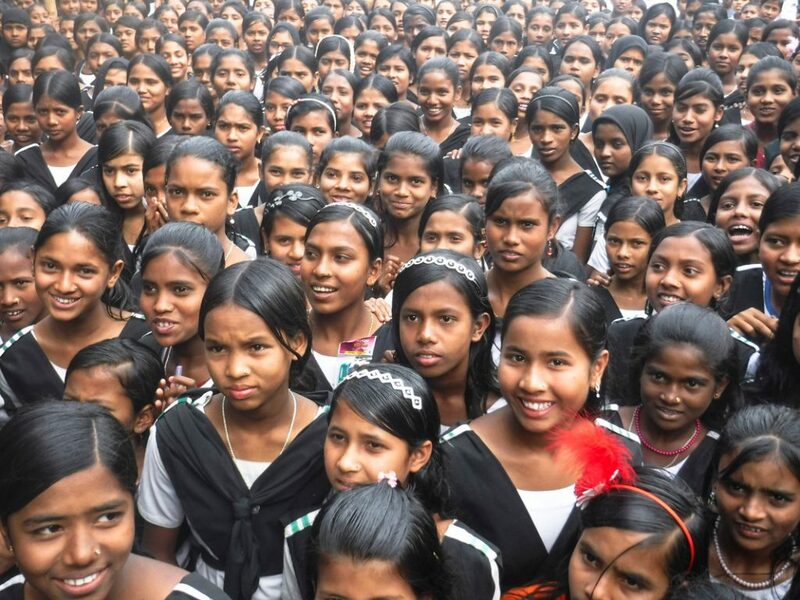 Tipping Point, a multi-country project, addresses child marriage through a dynamic process of innovation, insight and influence across national and global platforms. The project aspires to identify ‘tipping points’ to shift poor and isolated communities’ social norms that restrict the lives and roles of girls (and boys) and uphold the drawbacks of child marriage and dowry. It aims to promote positive gender equitable norms through exemplifying and celebrating alternative behaviours, in order to establish gender equity and rights for girls and boys. Parvin started a new business within her community, where she would cook and prepare lunch in her house for local garment workers. When she first launched the business over six years ago, Parvin’s husband didn’t work and was solely dependant on his wife’s limited income. The family struggled to survive. However, once Parvin received support and funding from the Building Resilience of the Urban Poor (BRUP) project, she was able to invest the money to expand her business. Today, her customer numbers have increased and Parvin has been able to make a regular monthly profit. Parvin’s success has not only inspired other local women to begin similar businesses, but her husband too has been inspired to get his own job and contribute to the family’s income. 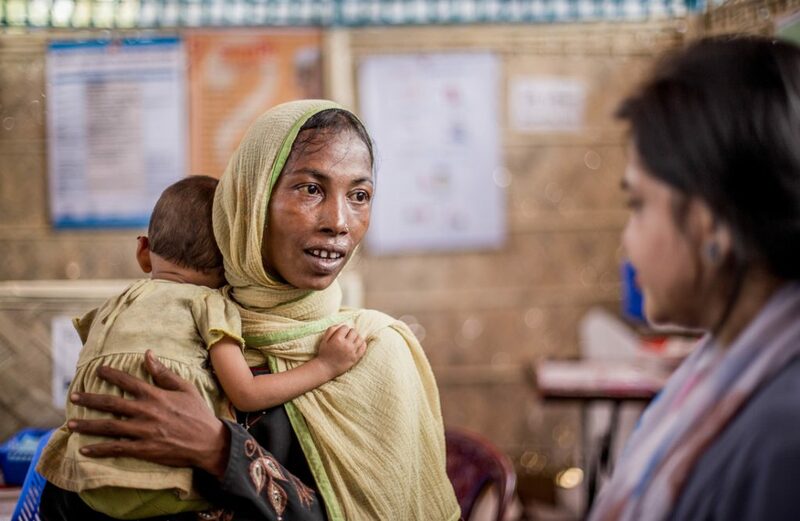 – More CARE evaluation reports from Bangladesh and other countries are available at CARE’s Electronic Evaluation Library.